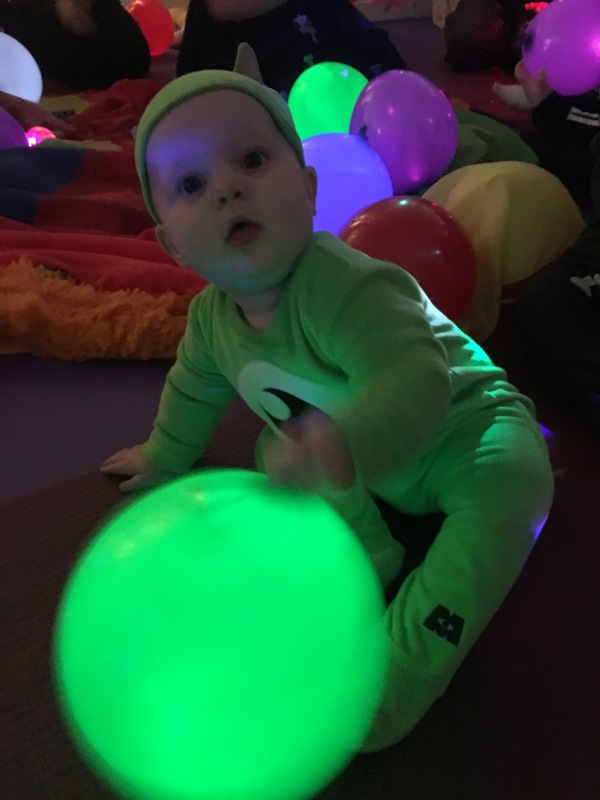 Oliver’s first Halloween has been great, Mummas & Beans, the place where we go for his baby yoga classes, ran a Halloween party this year, fancy dress was encouraged and we had a great time! 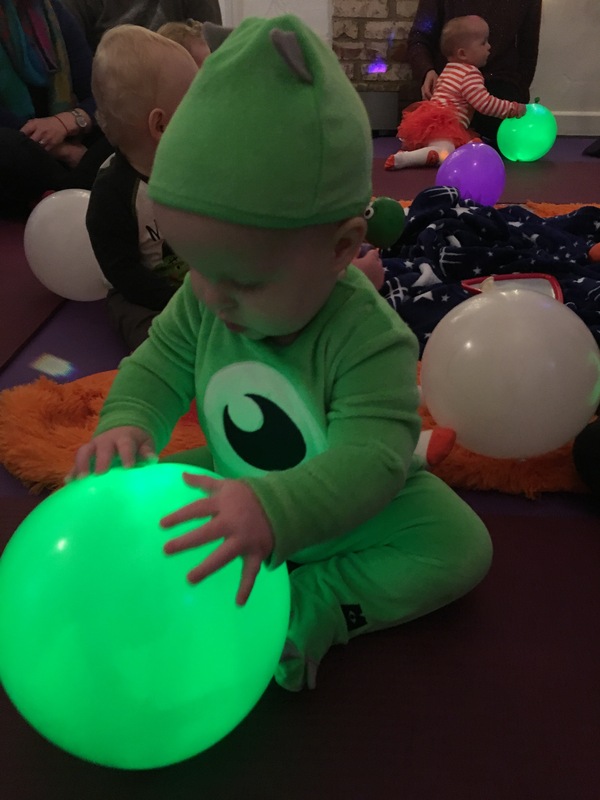 There was lots of singing, dancing and some brilliant light up balloons which Oliver couldn’t get enough of! After the singing and dancing there was a professional photographer to take a photo of your baby in their little costume. They all looked really cute, Oliver spent most of the time looking at the photographer like ‘what are you doing?’ But hopefully she managed to get a photo of him smiling rather than looking gormless! 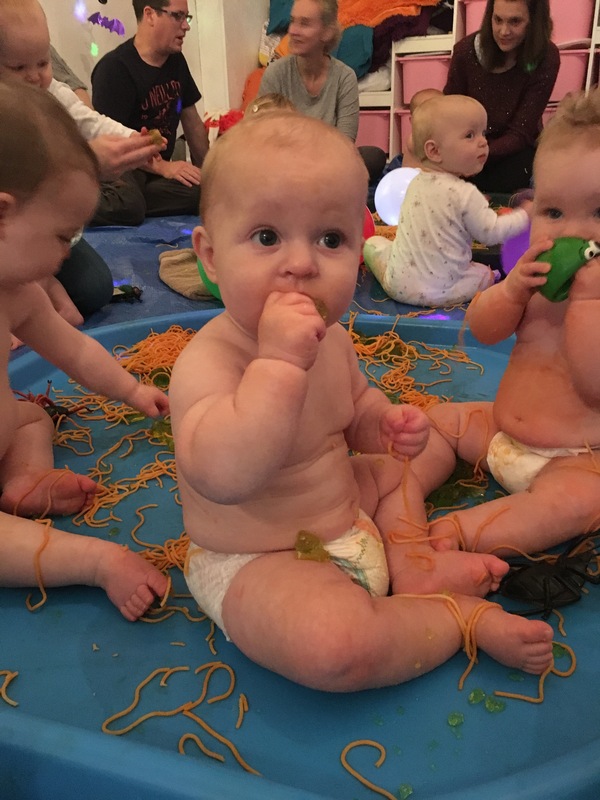 The session ended with messy play, green jelly with giant bugs in and spaghetti! 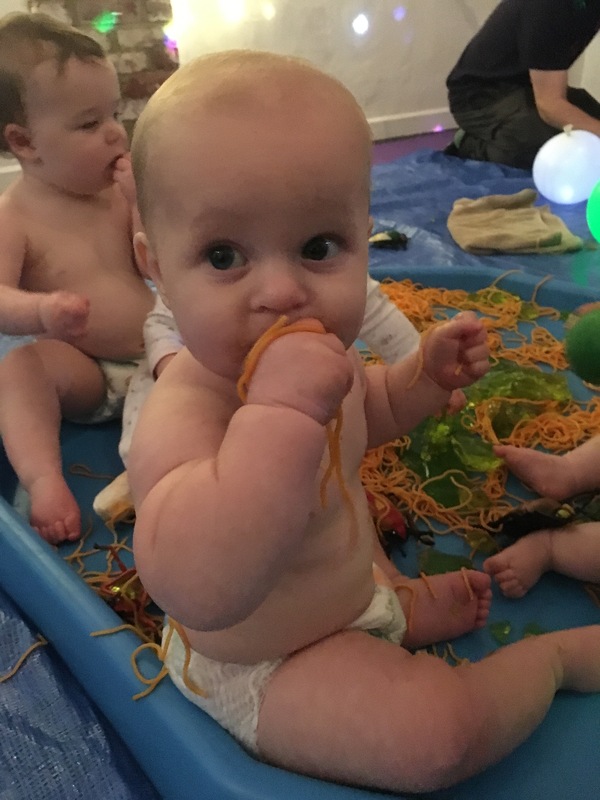 Oliver was stripped down to his nappy and got right in, he started off by just sucking all the jelly off one of the bugs and then moved onto the spaghetti, making sure he tasted everything. He was so sticky when he came out though, but he had such a great time! 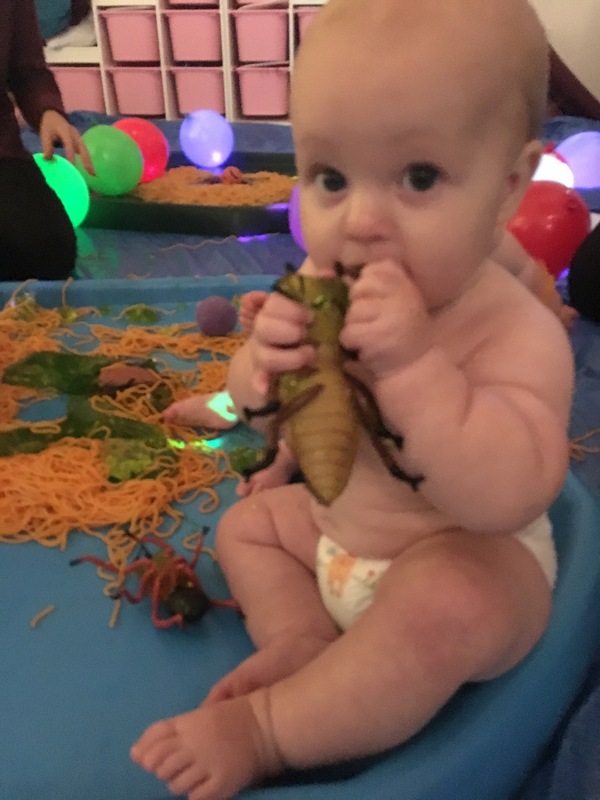 I would recommend this to anyone with a baby, it was such great fun and very reasonably priced! 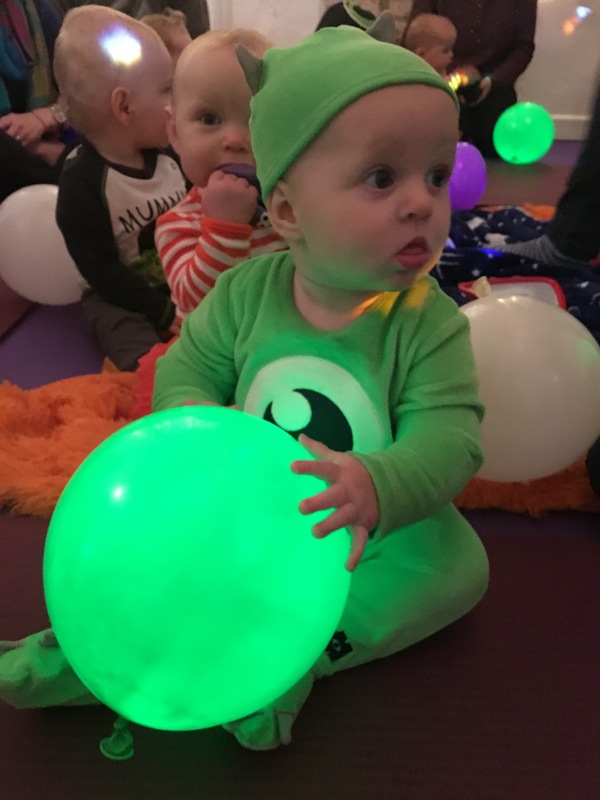 Did you do anything special for your babies first Halloween?